If you’re a commercial business owner, you need a test and tag service on which you can rely. Your tag and test service will be a crucial aspect of your workplace safety programs, and will also ensure that you are operating within the realms of the law. Remember, there are stiff penalties in place for workplace owners that fail to maintain an electrically safe workplace. When you contract a company for a test and tag service, you need the peace of mind in knowing that they will send out qualified, licenced and accredited technicians. Testing and tagging is a complicated process, and without the right team, you never know what you’re going to end up with. If you come across a company that refuses to show proof of any form of accreditation or licence, you should immediately cancel the service and look elsewhere. We are lucky enough to have extensively regulated industries, so only opt for a service provider that cares enough to operate within these rules. As in all services, experience is everything when it comes to testing and tagging. 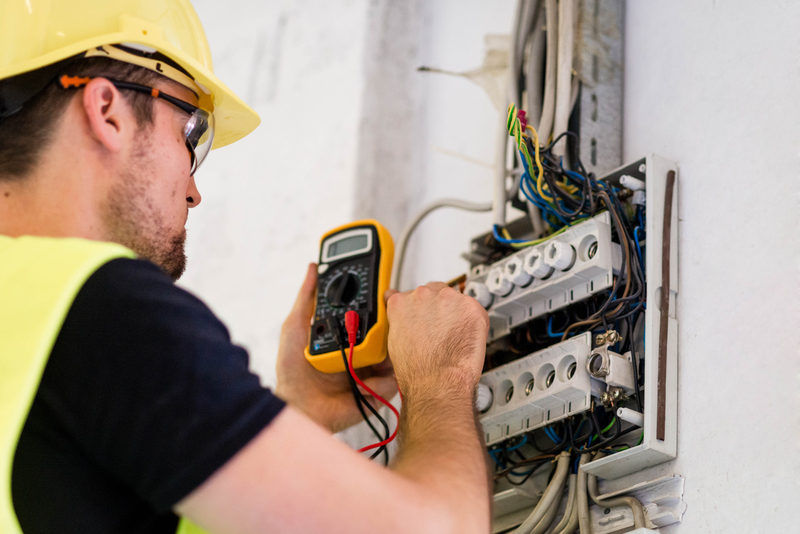 A newer company may offer lower prices, but you want the kind of expertise that only comes from experience when it comes to ensuring the electrical safety of your workplace. Experienced electricians will be able to pick up on problems just by looking at them. They’ll also be able to come up with solutions on the spot, so you suffer as little downtime as possible. The simple question, ‘How long have you been doing this for?’ goes a long way when it comes to finding the right test and tag service provider. There’s no better testament to quality than a stack of glowing reviews and testimonials from other clients. Companies can say whatever they like through their marketing mediums, but their past customers will give you the most accurate depiction of what they offer. The best part is, thanks to the internet you can easily see what customers have said about the company you’re considering contracting by looking at review sites like Product Review, True Local, Womo and even Facebook. As well as holding appropriate licences, a good test and tag company will also have all the insurances required to keep you, your workplace and the general public covered in all circumstances. Public liability insurance will cover any third-parties, and professional indemnity insurance will ensure you don’t end up out of pocket for breaches of professional duty. A test and tag providers first duty is to use best practice techniques to check that your workplace is 100% electrically safe. However, a good company will match this first duty with an equal focus on looking after you, the customer. High levels of customer service are the mark of a group you can put your faith in. Excellent customer service includes things like frequent communication, complete transparency and respect for you and your workplace. If your current provider fails to keep you in the loop, continually misses appointments, is continuously rescheduling or doesn’t show you the respect you deserve then take your money elsewhere. Good service doesn’t have to cost the earth. In fact, a good company will have a steady stream of revenue meaning they can keep prices reasonable. On top of affordability, prices should be completely transparent. You should only ever be asked to pay what was included in the quote. Test and tag prices should always be upfront, never accept hidden charges or unquoted extras.